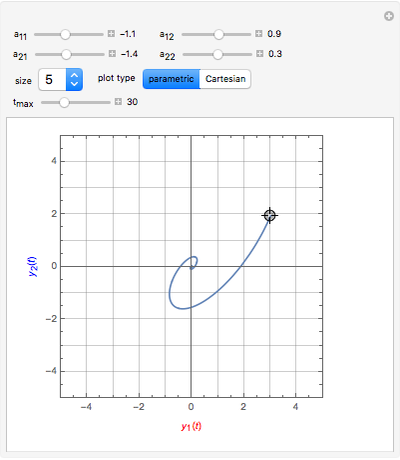 The analytical solutions of the two differential equations and , subject to the initial conditions and are used to create two plots, a parametric plot of a curve with horizontal coordinate and vertical coordinate and a standard plot of and as functions of from 0 to . 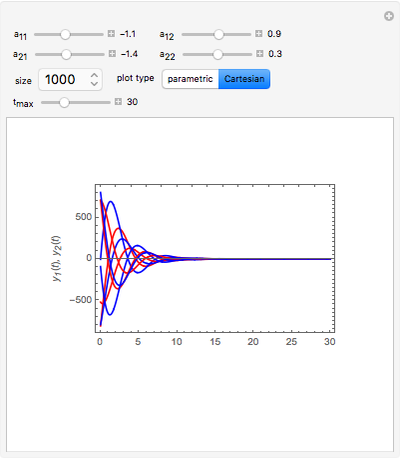 The initial conditions and are set by locators on the parametric plot; you can use more than one. 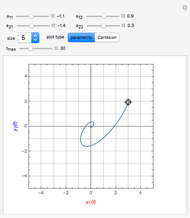 A locator's horizontal and vertical coordinates give and , respectively. 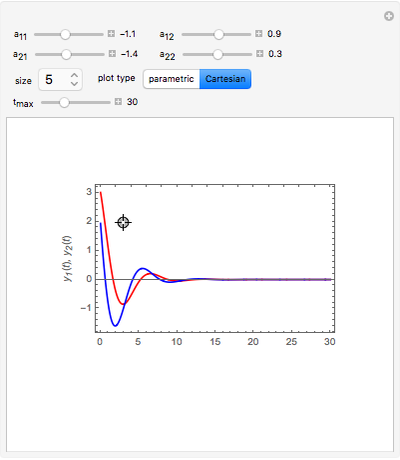 After changing from the parametric plot to the standard plot, locators appear on the standard plot if and is in the plot range. 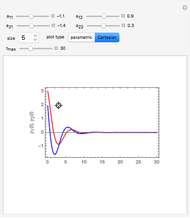 The expressions for and given by the Mathematica built-in function DSolve are not applicable when . For this special case the solutions are simplified using Mathematica's Limit function. Thus our function twoDSolve correctly computes and for all parameters specified. Mikhail Dimitrov Mikhailov "Visualizing the Solution of Two Linear Differential Equations"